This statement, and several I have made here, have sent many of my Protestant readers into a tailspin, not to mention fellow Catholics who have been raised in Evangelical influences or without proper instruction. I too was raised among many Pentecostals and the “charismatic renewal.” However, my parents also held fast to the teachings of our Faith. 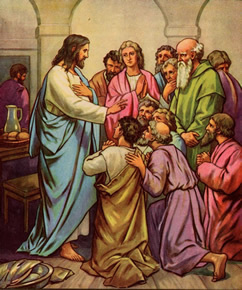 By God’s grace, I have been fortunate to experience the living dynamic of a personal relationship with Jesus, the power of God’s Word, the charisms of the Holy Spirit, and at the same time, the sure and unchanging foundations of faith and morals as handed on through the Church’s living Tradition (see A Personal Testimony). I have also experienced what it means to have a mother—God’s Mother—as my own, and how this has brought me closer to Jesus faster and more effectively than any other devotion I know outside of the Sacraments. I see in the Church that what I believe is an inordinate emphasis on Mary has diminished the supremacy of Christ because, quite frankly, people don’t read the Bible and study to know Christ and make Him known—they practice Marian devotion and put more credence in an apparition or “visit” in their room from the blessed Mother than the One who is described as “the fullness of the Godhead in bodily form” “the light of the Gentiles” “the express image of God” “the Way the Truth and the Life” etc. I know that is not the intent—but it is hard to deny the result. If Jesus deferred to anyone—it was to the Father. If he deferred to any other authority it was the Scriptures. To turn others to JESUS was John the Baptist’s role and that of all the seers and prophets in the world. John the Baptist said, “He must increase, I must decrease.” If Mary were here today she would tell her fellow believers in Christ to read the Word of God for direction and knowledge of Christ—not to her. It sounds like the Catholic Church says, “Turn your eyes upon Mary.” Jesus himself on two occasions had to remind his followers that those who “heard the Word of God and kept it” were on the right path. Not her own greatness! Far from stealing Christ’s thunder, she is the lightning that Illuminates the Way. If the Lord is with her, who can be against? Roman 8:31 If she is full of grace, and is a member of Christ’s Body, does she not share in a pre-eminent way in the power and authority of Jesus? I’ll address in a moment why, after her Assumption into Heaven, she still has a role to play in human history. But how do we ignore the Holy Father’s words? How can a Christian simply dismiss this statement without regarding the well-documented facts and basis for such a claim? And yet many Christians do because they feel that such statements “diminish the sovereignty of Christ.” But then what do we say of the great saints of the past who cast out demons, performed miracles, and founded churches in pagan nations? Do we say that they diminished the supremacy of Christ? No, in fact, the supremacy and omnipotence of Christ has been even more glorified precisely because He has worked so powerfully through human creatures. And Mary is one of them. The chief exorcist of Rome, Fr. Gabriele Amorth, recounts what a demon revealed under obedience. Some “Bible-believing” Christians object to the notion that the saints have anything to do with human activity once they are in heaven. Ironically, there is no scriptural basis for such an objection. They also believe that the apparitions of Mary on earth are demonic deceptions (and no doubt, some of them are a fallen angel appearing as “light” or merely the imagination of so-called seers). It is unlikely that they just “showed up.” It is more likely that these saints announced the Resurrection of Jesus, adding to the credibility of the Apostle’s own witness. Nonetheless, we see how the saints have appeared on earth to converse even in the Lord’s own terrestrial life. And of course, Our Lord Himself appeared in a brilliant light to Saul (St. Paul), bringing about his conversion. So there is indeed biblical precedent demonstrating that the saints remain “one body” with the Church. That just because we die, we are not separated from the Body of Christ, but enter more fully into the “fullness of him who is head of every principality and power.” The saints are in fact closer to us than when they walked on earth because they are now in a fuller union with God. If you have Jesus in your heart, do you not also, through the life of the Holy Spirit, also have a deeper union then with those with whom He is one? So, why does Mary appear on earth as she has for centuries? One answer is that the Scriptures tell us that the Church of the last times will see this “woman clothed in the sun,” who is Mary, a symbol and sign of the Church. Her role, in fact, is a mirror image of the Church, and another key to understanding her unique and prominent role in the plans of divine providence. He says this on several occasions. Why not just say, “Imitate Christ”? Why draw attention to himself? Is Paul stealing Christ’s thunder? No, Paul was teaching, leading, and guiding, providing an example, a new way that needed to be followed. Who followed Jesus more perfectly than Mary? When everyone else fled, Mary stood beneath the Cross after having followed and served Him for 33 years. And thus Jesus turned to John and declared that she was to be His Mother, and he her son. This was the example Jesus wanted the Church to follow—full and total obedience in a spirit of docility, humility, and childlike faith. It was Jesus who in a way said, “turn your eyes upon Mary” in this last act from the Cross. 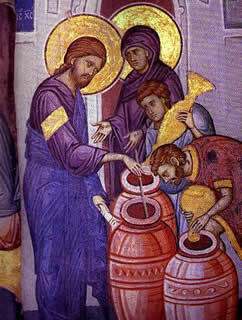 For in turning to her example and maternal intercession and intervention (such as at the Wedding at Cana), Jesus knew we would more easily find Him; that He could more easily change the water of our weakness into the wine of His grace. And to her He seemed to say, turn your eyes toward My Church, My body now on earth whom you must also mother, for I am not just a head, but a full body. 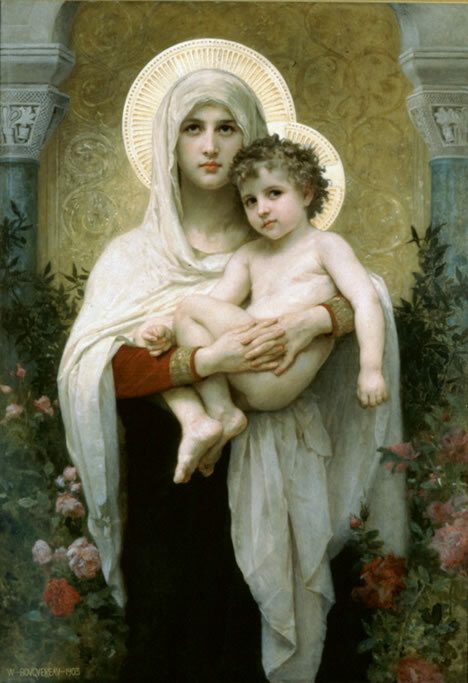 We know this because, from the first century, the Christians held the Mother of God in the greatest esteem. The Gospel writers (Matthew and Luke) likely sought her out to retell the accounts of the virgin birth and other details of her Son’s life. 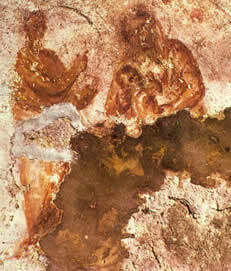 The walls of the catacombs contained paintings and icons of the Blessed Mother. The early Church understood that this Woman was prized by God, and was indeed their own Mother. Yes, that is another prophecy, that there will be a lasting enmity between the devil and a woman in the times of her offspring—in the times of Christ. And then, He listened to her anyway and performed His first miracle. Yes, she is a Woman who holds sway with her Son, just as the Queen mothers in the old testament held profound influence over their kingly sons. His use of the title “woman” was deliberate, to identify her with the “woman” of Genesis and Revelation. 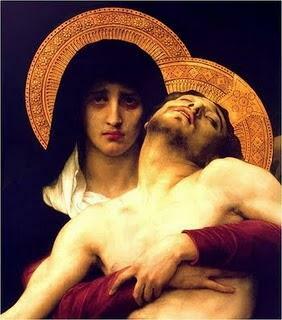 My reader asks why a sinless woman would need “God my Savior.” The answer is simply that Mary could not have been sinless without the merits of Christ’s passion, death, and resurrection. It is basic theology among nearly every Christian denomination that what Christ achieved on the Cross is an eternal act that extends throughout all of history and into the future. Hence, Abraham, Moses, and Noah are all in Heaven despite the fact that the triumph of Calvary was hundreds of years later. Just as the merits of the Cross were applied to them who were predestined by God in their particular roles in salvation history, so too were they applied to Mary before Christ’s birth for her particular role. And her role was to allow God to take flesh from her flesh and blood from her blood. 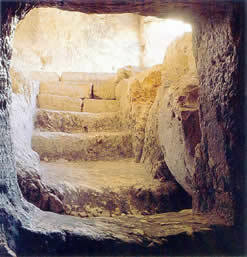 How could Christ take habitation in a vessel stained by original sin? 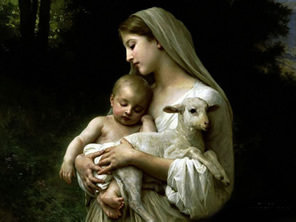 How could He be the spotless and unblemished Lamb of God without the Immaculate Conception of Mary? Thus, from the very beginning she was born “full of grace,” based not on her own merits, but upon her Son’s. She was saved by Him, but in a powerful and distinct way because she was to be the Mother of God, just as Abraham was saved in a powerful and distinct way through his faith when his aged wife conceived, making him the “father of all nations”. 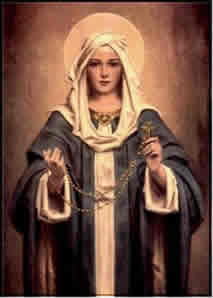 Soo, Mary is the now the “Lady of All Nations” a title approved for Our Lady in 2002: see this link. St. Paul teaches that Christ is the new Adam. 1 Cor 15:22, 45 And this New Adam declares from the Cross that Mary is to be the new Mother of all the living in the spiritual rebirth of creation. After all, if Mary gave birth to Jesus, the head of the Church, does she not also give birth to His body, the Church? Knowledge of the true Catholic doctrine regarding the Blessed Virgin Mary will always be a key to the exact understanding of the mystery of Christ and of the Church. —POPE PAUL VI, Discourse of 21 November 1964: AAS 56 (1964) 1015. Much of the writings here on the last times are based on this key. But that’s for another time. While it may appear that Jesus is reducing the role of his Mother (“Thanks for the womb. I don’t need you now…”), it is quite the opposite. Listen carefully to what He said, “Blessed rather are those who hear the word of God and obey it.” Who is more blessed among men and women alike precisely because she heard and obeyed the word of God, the word of the angel? But Mary reserved herself totally and always for God. Thus when Jesus says, “whoever does the will of my heavenly Father is my brother, and sister, and mother,” it is to say, there is no one among yo u who is more worthy to be my Mother than this Woman. Yes, there is more I can say about this Woman. But let me conclude by sharing my own experience. Out of all the teachings of the Catholic faith, Mary was the most difficult one for me. I struggled, as does my reader, with why this virgin was given so much attention. I was terrified that in praying to her I was breaking the first Commandment. But as I read the testimony of saints like Louis de Montfort, Blessed Mother Teresa and servants of God such as John Paul II and Catherine de Hueck Doherty and how Mary brought them closer to Jesus, I decided to do what they did: consecrate myself to her. That is to say, okay Mother, I want to totally serve Jesus by being totally yours. Something incredible happened. My hunger for the Word of God increased; my desire to share the faith intensified; and my love for Jesus blossomed. She has taken me deeper and deeper into a personal relationship with her Son precisely because she has such a deep relationship with Him. Also, to my amazement, strongholds of sin that dominated me for years, struggles that I seemed powerless to conquer, began coming down quickly. It was unmistakable that a Woman’s heel was involved. This is to say that the best way to understand Mary is to get to know her. The best way to understand why she is your Mother is to let her mother you. This, above all, has been more powerful for me than any apologetic I have read. I can tell you this: if devotion to Mary had in any way began to pull me away from Jesus, to distract my love from Him, I would have dropped her faster than a heretical potato. Thanks be to God, however, I can exclaim with millions of Christians and Our Lord Himself: “Behold, your mother.” Yes, blessed are you, My dear Mother, blessed are you. First Published February 22nd, 2011. 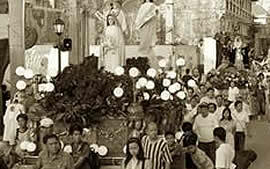 Some of you don’t know how to pray the Rosary, or find it too monotonous or tiring. 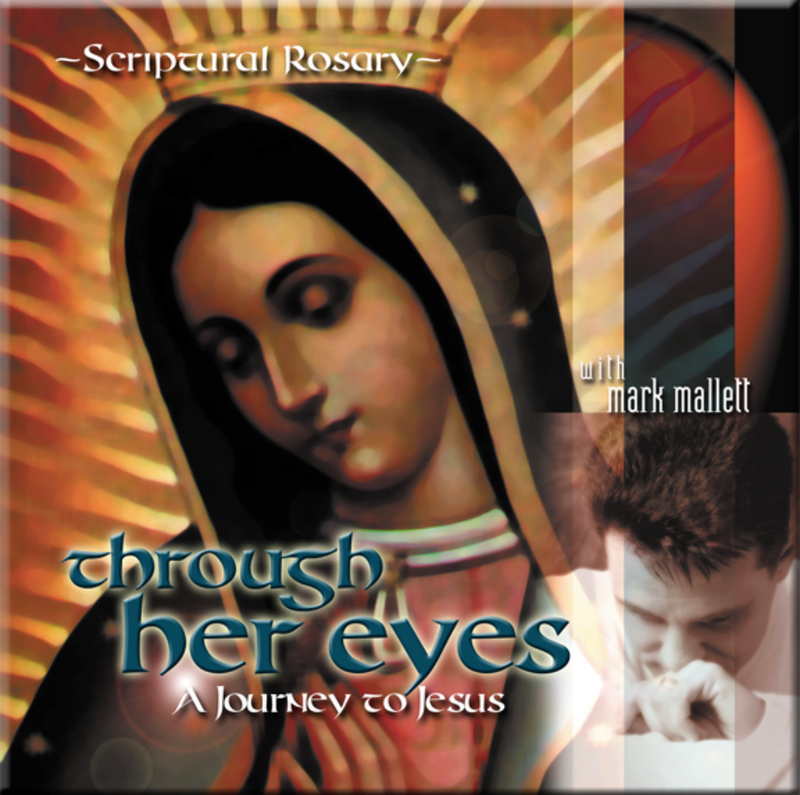 We want to make available to you, at no cost, my double-CD production of the four mysteries of the Rosary called Through Her Eyes: A Journey to Jesus. 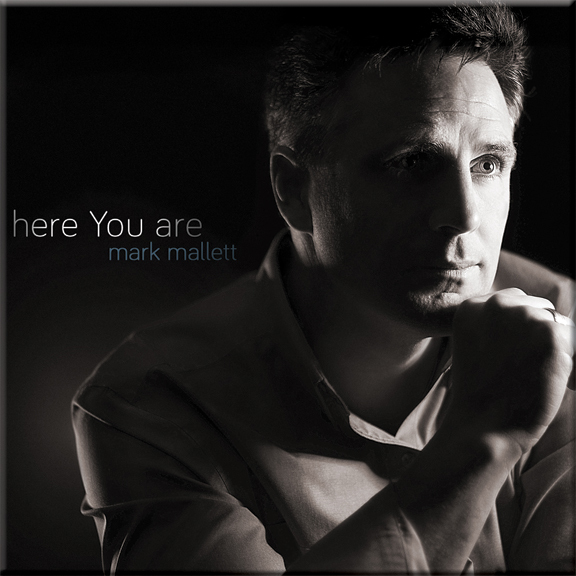 This was over $40,000 to produce, which includes several songs I’ve written for our Blessed Mother. This has been a great source of income to help our ministry, but both my wife and I feel it is time to make it as freely available as possible at this hour… and we’ll trust in the Lord to continue to provide for our family’s needs. There is a donate button at the bottom for those who are able to support this ministry. 7. ↑ a title approved for Our Lady in 2002: see this link. Posted in HOME, MARY and tagged revelation, pope, MARY, virgin, apologetics, john paul, mother of god, immaculate conception, clothed in sun.